If you want to be a better designer or want to learn how to draw well, whatever your goals may be the content in the Barnstone Design Method videos will help you achieve them. The methods and principles taught are not readily available making this set an invaluable resource for the designer, artist and arts educators. The Barnstone Digital packages follow the curriculum developed by Myron Barnstone to teach Drawing & Design. Mr. Barnstone’s Methods have proven to be successful over the past 30+ years in the amount of scholarship money awarded to students as well as the successful careers of a number of professional Artists, Architects, Educators & Designers. Anyone wishing to purchase and study from the video sets is strongly encouraged to start with Drawing Lesson 1 and proceed through the material in order. Mr. Barnstone builds upon each previous lesson. The Figure Drawing and Color Videos would be best studied after all the Drawing material. Included are projects to reinforce all concepts and best practices with a critique of the assignments in the following videos. The most comprehensive drawing & design course available anywhere. Take your time and repeat and review as necessary. Through a series of 7 lectures & assignments the Fletcher Color Control system is examined and applied to exercises. The previous information is expanded on & applied to drawing from the live model. The Golden Section is art’s greatest mystery. Often referenced but hardly understood, it was the closely guarded secret that gave birth to everything from clandestine societies like the Masons to the painting guilds that dominated the Renaissance. 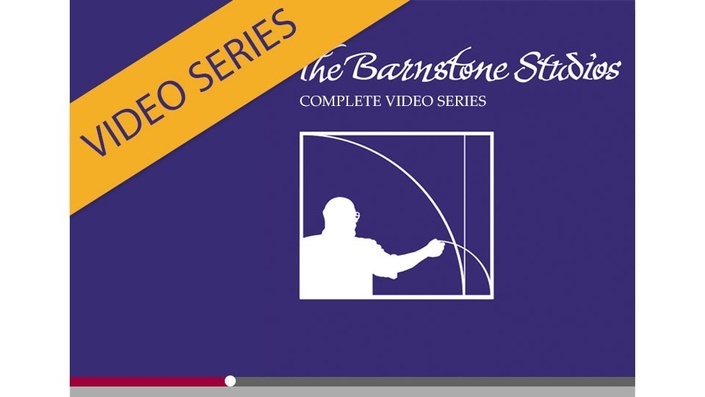 This complete box set includes the entire video series from Myron Barnstone. *If viewed separately from the Drawing & Design Lectures, follow up with the Gold Section Lecture. This video set is also available for purchase on barnstonestudios.com. My videos are selling all over the world. This series is one of the best and most complete drawing and design courses available anywhere.. Therefore, this set of video lectures, classes and assignments represent a self-standing comprehensive university level art education. Unlike so many "teach yourself" videos, I do not trivialize my material to avoid threatening the timid. Were the craft of drawing, painting, sculpture and design a simple-minded form of therapy, these subjects would not have attracted the life’s work of so many great minds. Nor, would the world’s museums be so richly filled with masterworks. I am having trouble downloading the videos to my Apple Device. What do I do? You may view the videos with Quicktime. I am having trouble downloading the videos on my Windows device. What do I do? Windows Media Player 12 is the only Microsoft player that supports .mp4 file format. Earlier versions of the player do not support the playback of the .mp4 file format. You will need to download and install a DirectShow-compatible MPEG-4 decoder pack, such as FFDShow, in order to view our videos. You have unlimited access to this course for as long as you continue your subscription. There is definitely more going on behind the scenes with good art than I imagined. In all my years, I have not seen anyone, except for Myron, give you the insight on how these masterpieces are constructed. A very enlightening and important education for artists and art lovers.